The trouble all begins in Paris with Dorante hiring a serving man, Cliton, after the former finishes law school in Poitiers. Dorante finds himself flirting with a beautiful woman, and telling her all sorts of creative tales about his fictitious time in the military. After the ladies leave in a hurry they, Dorante, is told that he was speaking to Lucrece. With his mission set, Dorante, who cannot tell the truth, and Cliton, who cannot tell a lie, the two set off on a pursuit of mistaken love. Thus, begins a tale of hilarious misunderstandings, as things set in motion from the opening scenes begin to fall together and apart all around the characters. The Department of Theatre and Dance will perform Pierre Corneille’s comedic tale, The Liar, on the stage November 16-19 in the Campus Auditorium of Northside Hall. Thursday through Saturday The Liar will start at 7:30 pm and Sunday at 2 pm. With a cast of eight, The Liar offers up a full cast of hilarious characters that keep this whirlwind production moving along at a rollicking pace. “All the world’s a life, and all men and women merely liars,” the playwright paraphrases Shakespeare. 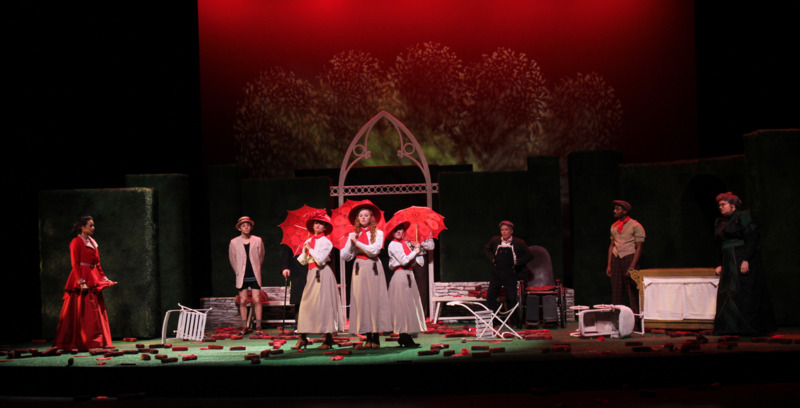 Tickets for The Liar and other events from the Ernestine M. Raclin School of the Arts can be purchased through the Box Office at 520-4203 or through the school’s website at arts.iusb.edu.